One of the (many) things we love about running is the growing role it plays in the world of charity fundraising. The prevalence of charity running grows every year, reaching its way across the globe. Its importance is certainly felt in London, where over over 77% of London Marathon participants now raise funds for a charity of their choice. Here at Racefully, we think technology plays a special part in helping you go that extra mile, right from the start through to the finish line. For this reason, we’re especially proud to announce that Racefully will be participating in The London Marathon this April, where our own co-founder, Chris, will be running for The Alzheimer’s Society. There are over 850,000 people living with dementia in the UK alone, a number the Alzheimer’s Society believes will rise to 1,000,000 by 2025. 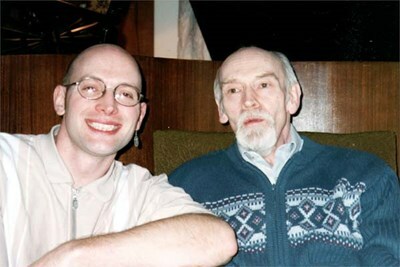 Co-founder, Chris, is running in memory of his father, Malcolm Pointon, who passed away from Alzheimer’s in 2007. If you’d like to read more about Chris’s inspiration for running The London Marathon or donate to The Alzheimer’s Society, you can do that on his JustGiving page. 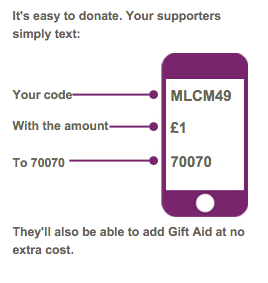 Or you can simply text MLCM49 with the amount that you’d like to donate to 70070. All proceeds will go directly to The Alzheimer’s Society, UK. As Chris says, his parents’ story is one of many. If you’re planning to run The London Marathon, or another charity race, this year, we would love to hear and share your own inspirational story. We think the Racefully Community would love to hear it too. Share your story below or connect with us on Twitter or Instagram @Racefully. We can’t wait to hear your story.